Any trip to the Windsor area whether for pleasure or for use of Windsor Meeting Rooms should be coupled with a trip to Legoland. 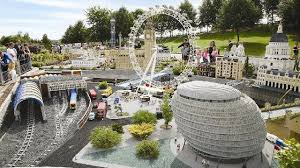 A replica of the original Legoland found in Denmark, this attraction draws in hundreds of thousands of people each year as it celebrates the best in construction and fun with the tiny little plastic blocks that we will all have played with at some point. 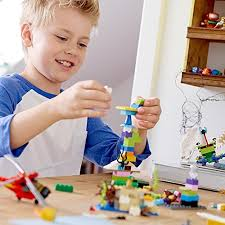 Lego makes around 1,300 pieces each second which equates to 78,000 a minute and 4,680,000 an hour. Thy also produce a staggering 870,000 tyres each day which is a total of 400 million each year. Now that’s a lot of bricks and tyres! There are around 3,700 different blocks and elements created by lego and each of the molds that are developed to make these are accurate in size to within the width of a single strand of hair. This is what ensures that each block fits together in its designated pattern with precision so that there are no large gaps in between each layer. If you took all of the blocks that are sold each year together they would stretch around the world a total of five times and it is thought that around 7 lego sets are sold across the world every second. Lego bricks are incredibly strong and a single brick can withstand another 375,000 bricks added on top of it before it would start to break. This is the equivalent of building a tower of bricks that reaches 2.17 miles high. The design of the lego bricks has stayed pretty constant throughout the years and if you have any of the blocks from the late 1950s they will still connect with the modern day sets. Lego is produced in Denmark, Hungary and the Czech Republic and then distributed to countries across the world. Until 1999 these sets were based around city construction. In this year they produced their first licenced product which was based around Star Wars. Since then a number of different licenced products have been created. If you have an idea for Lego project you can explain this on Lego Ideas and if you can get a total of 10,000 or more supports on social media for your idea they will look into the project and you may find this put into production and placed on the shelves in your local toy store.